Mobile games have been attracting large investments from giant game manufacturers like Nintendo, Gameloft and so on. One of the factors defining the success of mobile games comes from the technology in smartphones, which now support better graphics over the past few years. With the better hardware on Android devices, they now allow you to connect your PS4 controller to them. Action mobile games such as Modern Combat, GTA and Game of War can be played with a controller. So if you have a Sony console, you can then easily connect your PS4 controller to any Android phones without needing to buy a separate controller. You will find a number of Android games supporting the gamepad option. But if you want to use it for other games, your phone needs to be rooted in order to map touch to the buttons for the game controls. So, if the games come with the built-in gamepad support, you can connect to the controller using a Bluetooth connection. Here is how to connect the PS4 controller to your Android device. You cannot just switch on your controller and wait for your Android device to recognize it. Instead, you have to do the following steps with your PS4 controller so that your device can show the pairing option. Note: You can also use the PS4 controller to connect to Android tablets or Android TVs. Step 1: On the PS4 controller, simply hold the Share button as well as the PS button at the same time. You need to keep holding the button till you see a light flashing on the light bar. 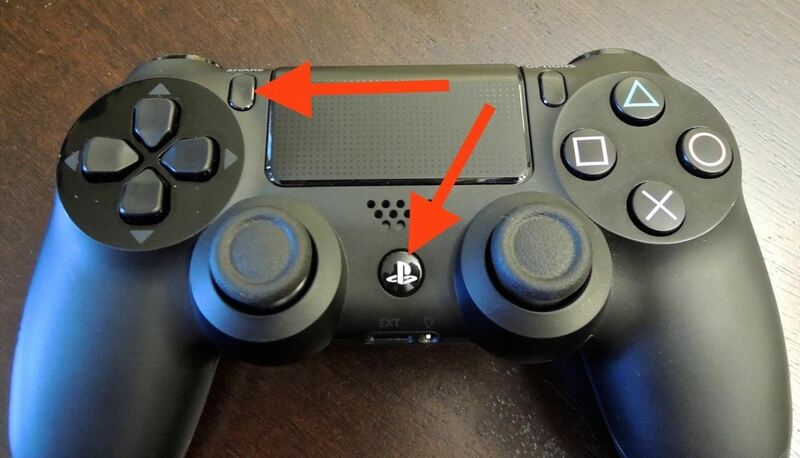 Your PS4 controller is now ready to be paired with your Android device. Step 2: Once the Bluetooth connection is turned on your Android phone, you will see an option for connecting with ‘Wireless Controller’, simply tap on it. Next, just wait for a few seconds for the connection. If it fails, you should try again by restarting the device. Once the connection between your controller and Android device is successful, you can then start using it. You can also use the PS4 controller to navigate your Android phone, there are a few actions available. Step 3: Simply activate the wireless controller option from the in-game settings. However, keep in mind that not all of the games support the gamepad option. For non-support app, you will have to root your Android phone and then use the Tincore Keymapper app to make your PS4 controller work. These are steps to easily connect your PS4 controller to your Android phone, or tablet. In case you no longer want to use the controller for the Android games and connect it with your PS4 again, all you need is using the PS4 USB cable to connect the controller to the console. After that, just press the PS button and that’s done. Share with us which are your favorite Android games that you play with a PS4 controller in the comments section below.